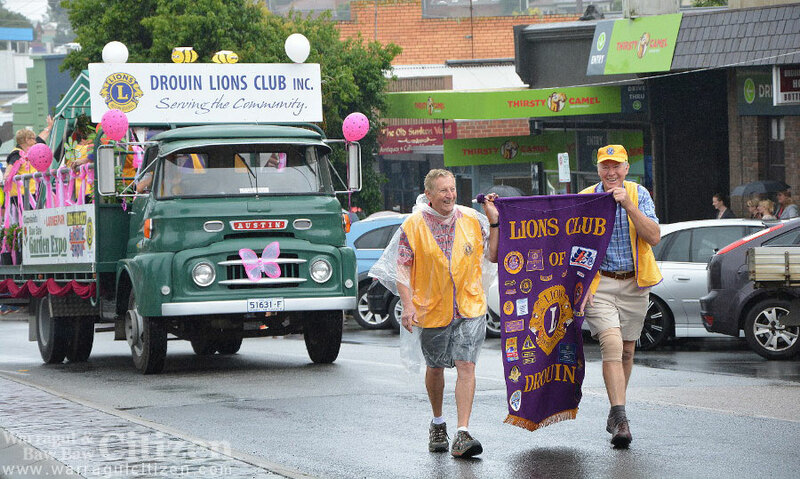 The Drouin Lions Club at 2015’s parade. Photo: author. Parade Day is the centrepiece of Drouin’s Ficifolia Festival, and even in its 30th year the event has new things on offer. The parade will take place on Saturday 10 February with a 1980s theme, but there’s much more to the festivities than that. Activities at Civic Park start at 10am with the festival’s inaugural car show, which will run into the early afternoon. Classic cars have been a big part of the festival for many years, providing transport for parade participants. Between midday and 5pm you can check out the Makers and Farmers Market, also at Civic Park. The market will feature locally grown and made products. During the day you can also check out the talents on show at the Ficifolia Festival’s own skate competition. For more details on that, click here. The street parade will begin at 5pm, with all participants encouraged to dress up in 1980s outfits. The ’80s theme will continue into the night with live music from the decade performed by the Ceramix, British Invasion. Head down to the Keith Pretty Sound Shell in Civic Park from 6pm to around 8pm to have a dance. From 8pm a family outdoor movie will take place in the park, with fireworks during an intermission at 9.30pm. Launched from the football ground, the fireworks will be easily visible from Civic Park. There are lots of other events happening between now and the festival’s close on Sunday. Most notably, the Ficifolia Festival Art Show is on at the Drouin Football Club from 10am to 4pm on Friday, Saturday, and Sunday. 3BBR FM, West Gippsland’s community radio station, will also be holding its open day on Friday from 10am to 5pm. For all the latest event information and to ask questions to committee members, visit the Ficifolia Festival’s Facebook page.